A prison officer is due in court today accused of smuggling drugs and mobile phones into a Doncaster jail. Victoria Sked, aged 26, of Station Road, Stainforth, is accused of attempting to smuggle a number of items into HMP Lindholme, where she works. She was arrested on Monday, August 20 after a number of banned items were allegedly found. Sked has since been charged with two counts of conveying a prohibited article into/out of prison, possession with intent to supply a controlled drug, the acquiring/use/possession of criminal property and conveying a prohibited article into a prison intending it to go to a prisoner. She was remanded in custody following her arrest and appeared at Doncaster Magistrates’ Court last month. 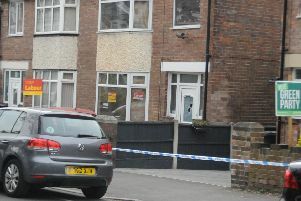 Her case was transferred to Sheffield Crown Court, where she will appear today.